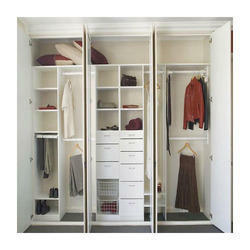 We are a leading Manufacturer of designer wardrobe and wood walking wardrobe from Noida, India. We are engrossed in the manufacturing and exporting of supreme Designer Wardrobe. In addition to this, the offered product is highly acclaimed for its attractive design. Made using premium quality raw materials, we assure the durability of the product offered. 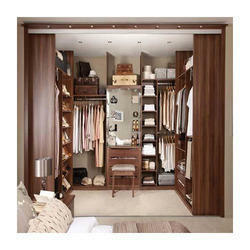 Owing to its stability and perfect finish, this offered wardrobe is immensely appreciated in the market. Conceding to the demands of our customers, we come with high-quality Wood Walking Wardrobe that is manufactured using premium quality raw materials sourced from the credible vendors. Resistant to alkali and abrasion, this walking wardrobe is highly acclaimed in the market. In addition to this, we offer customization as per the specifications briefed by the clients. Looking for Clothes Wardrobes ?